Update: Fiat has released a new teaser video of the concept. Two years after we first reported about the Fiat Toro SUV, it has emerged that the company will showcase the concept version at the 2018 Sao Paulo Motor Show. 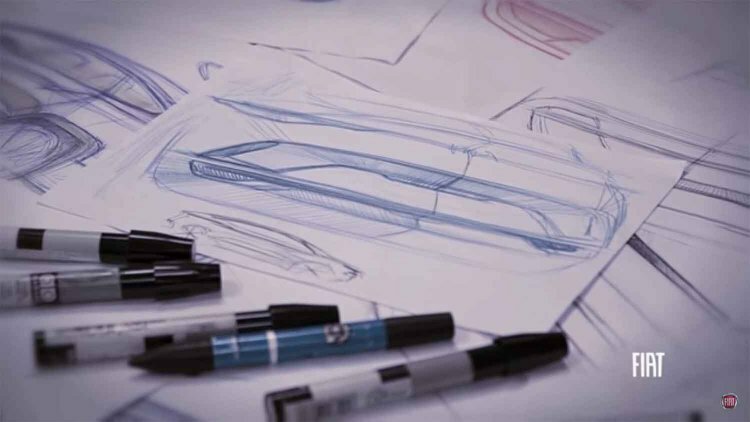 Fiat has released a video that shows Peter Fassbender, Design Head, FCA Latin America saying that the new model "is unheard of and will be surprising." The sketches give us a glimpse of the show car's short rear overhang and a steeply raked roofline. The concept model could be a coupe-crossover, with a silhouette similar to that of the Renault Arkana. The rest of the Fiat Toro SUV concept should borrow design cues from the Toro pick-up. The side profile is likely to feature similar creases. The dual headlamp setup of the truck will be reportedly carried over to the new model. That said, the Daytime Running Lamps (DRLs) and the headlights will be a tad larger. These changes have good chances of making it to the Toro facelift, which is scheduled to be launched in 2020. On the inside, the SUV should feature an 8.4-inch touchscreen infotainment unit and trim changes for differentiation from the commercial application. Powertrain options for the production-spec Fiat Toro SUV will include 2.0-litre Tigershark Flex and 2.0-litre Multijet diesel engines. While the gasoline motor would feature a 6-speed automatic transmission, the oil-burner should come mated to a 9-speed automatic unit. The five-seat version could be available with the 1.8-litre E.torQ motor. The flex-fuel engine delivers a maximum power of 159 hp and a peak torque of 195 Nm with petrol and a maximum power of 163.66 hp and a peak torque of 201 Nm with ethanol. The diesel motor outputs a 170 hp and 350 Nm. The E.torQ motor produces 135 hp and 182 Nm. The Fiat Toro SUV concept is likely to feature a coupe-ish roofline similar to that of the Renault Arkana. In India, FCA will focus on Jeep products to establish its business, with the company having just announced the Jeep Connect retail concept. While the Compass has shown FCA what is possible in the Indian market (average monthly sales during April-September 2018 - 1434 units), the company plans to launch 2 more SUVs to fill white spaces - a sub-4-metre vehicle to rival the likes of Maruti Vitara Brezza and a 7-seat model based on the Compass platform to compete with the Toyota Fortuner. Both models are expected to debut around 2021.